Azealia Banks definitely knows how to stir the pot and she proved it over the past week on social media. The rapper kicked things off last week after she said that stayed at Elon Musk’s house for days waiting for Grimes’ in order to lock in studio time. Unfortunately, it went downhill once she took to social media and pretty much spilled the tea on Musk and Grimes’ relationship. Unfortunately, it seems like it took a harsh turn in their relationship as the two have reportedly unfollowed each other on social media. According to Business Insider, Grimes and Elon Musk are no longer following each other after Azealia Banks’ put their business out in the open. On Sunday, they claimed that the two of them no longer follow each other on Instagram and Musk hit the unfollow button on Grimes (although, at the time she was still following him). They said that Grimes and Musk have been publicly interacting with each other on Instagram throughout June. This came shortly after Azealia Banks shared screenshots of her text messages with Grimes where they spoke on Musk’s manhood, his accent and more. At this point, it’s uncertain whether they are still together as a couple. 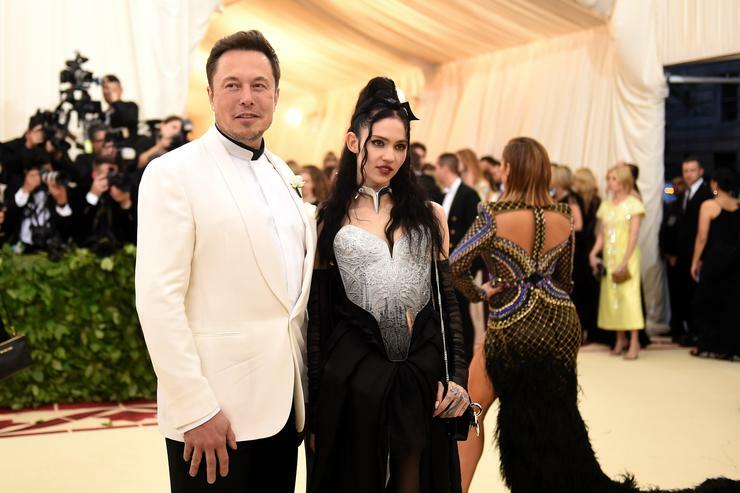 Grimes and Musk made their official debut as a couple this past May at the Met Gala.